Searched for black metal railings with wire instead of spindles for quite a long time. 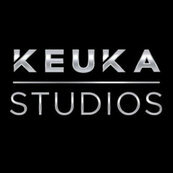 Very happy I found Keuka Studios on Houz. It was exactly what my wife and I wanted, at an affordable price. Jason and his team worked with us to measure the old railings, angles, lengths and heights. Poured through the dozens of pics we submitted to them. Asked a few questions. And were able to design, build and ship a beautifully finished railing system in less than 3 weeks! From 600 miles away. Without ever stepping foot in my house. Incredible. No problems with the install. No left-over parts. Perfect fit and finish. Can’t thank Keuka Studios enough for their total professionalism. Please use them with total confidence that you are getting a high quality product from a high achieving company!